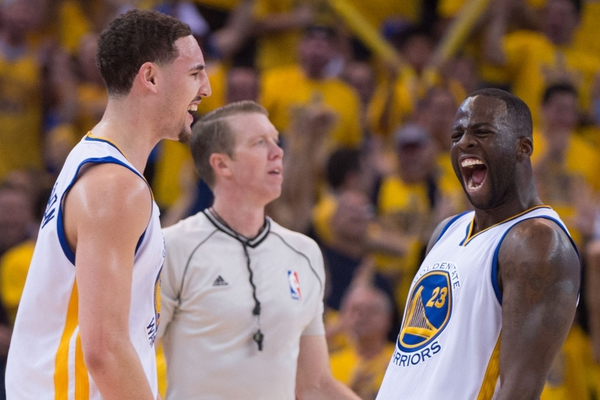 Not one member of the Golden State Warriors earned First-Team All-NBA honors on Thursday. Stephen Curry and Kevin Durant both received Second-Team bids, while Draymond Green snagged Third-Team dap. Regardless, he was never going to get a nod. He deserves it more than DeMar DeRozan, but Kyle Lowry and Chris Paul deserved it more than the both of them. One can argue Thomas has become almost underrated. His off-ball defense is rightly criticized, but he’s still a quality on-ball stopper. Even when the numbers aren’t great, he’s tackling the opposition’s toughest assignment. He doesn’t grab rebounds or dish out a ton of assists on offense, but that’s not his role. There is something to be said for an All-Star willing to be in constant motion and firing off the catch on more than half his shots, according to NBA.com. Thomas has the bandwidth to do more. The Warriors just don’t need him to. He’ll never receive enough recognition for his adaptable game, other than his contract, but he needn’t nab All-NBA love for Golden State to realize how valuable he is to them. Green has made that much clear.